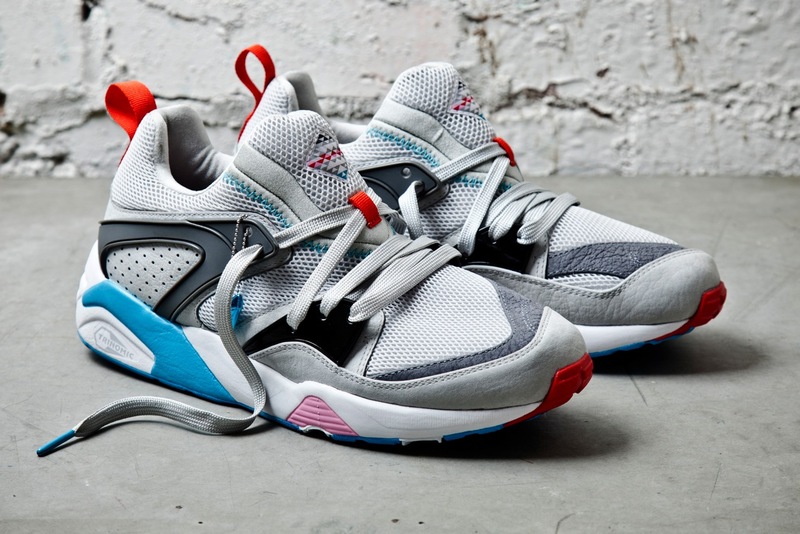 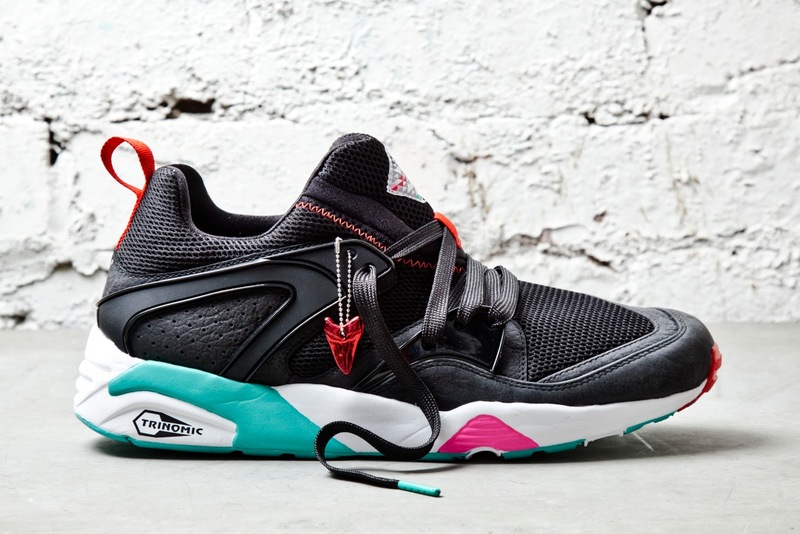 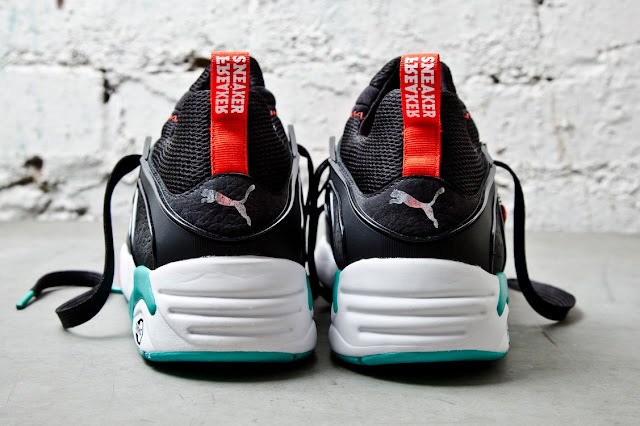 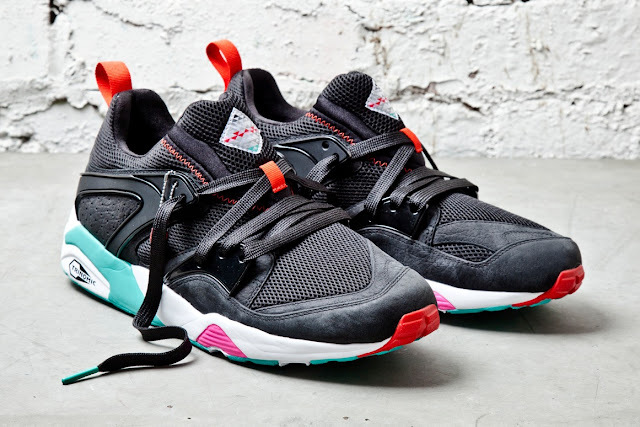 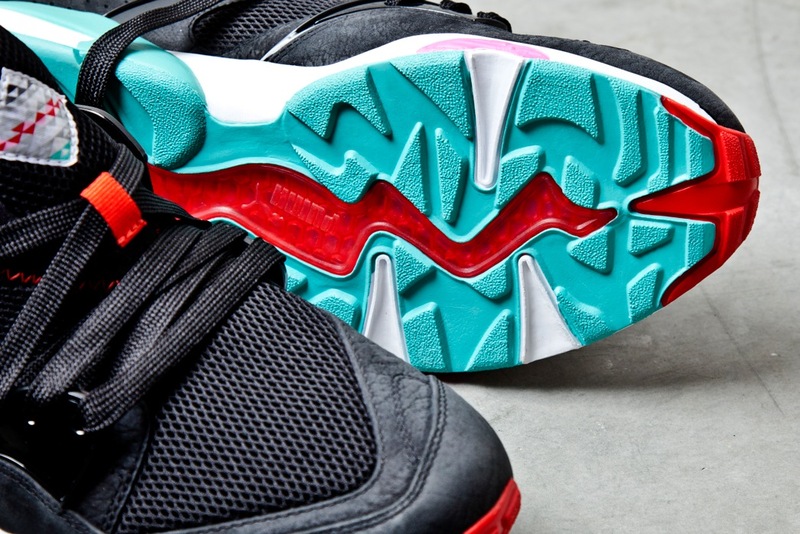 PUMA and Sneaker Freaker are back at it again with a special limited re-issue of there classic Blaze of Glory collab which was originally released in 2008 in very limited numbers. 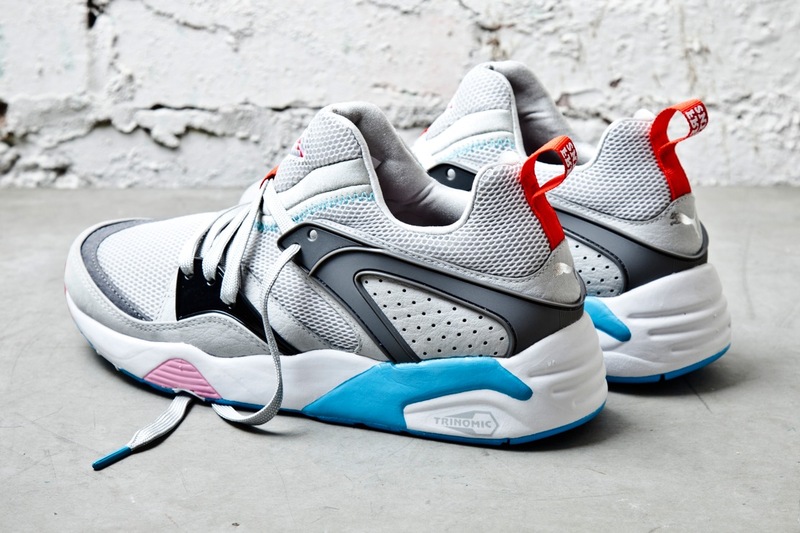 The overall look and feel of both colorways are very similar to the original release with just a few touches of updated pieces such as the satin sock liner being color coded, the nubuck being fettled with a deep emboss that mimics sharkskin and a performance inner sole has been inserted to ramped up the comfort even more than before. 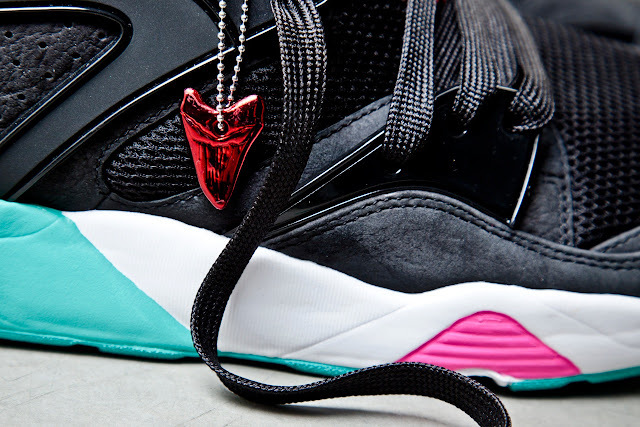 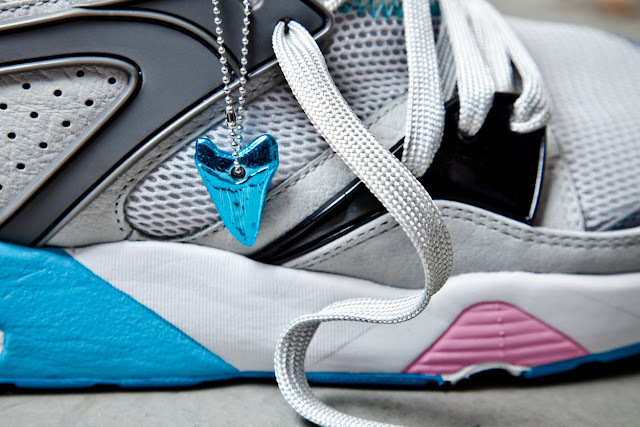 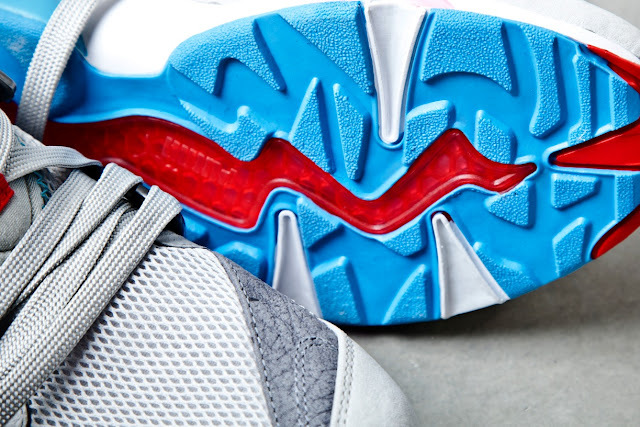 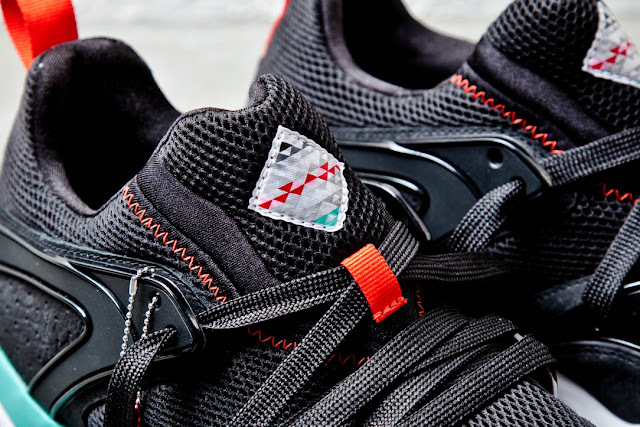 The PUMA x Sneaker Freaker Blaze of Glory 5th Anniversary pack will be sold in an oversize custom box complete with foam padding and embossed with the project’s trademark diamond ‘shark attack’ logo. 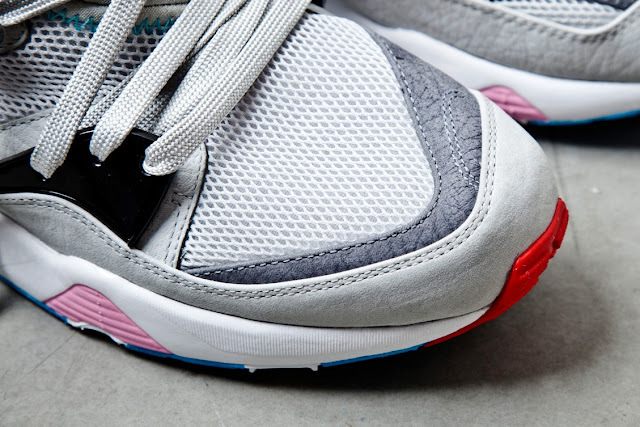 The exclusive double release of the Blaze of Glory - in both original colours and with a new lightweight version and will be available from Footpatrol, Hanon and END from November 30th.